Is there any way too see a tumblr profile with just the the photos/videos/notes uploaded by the user and not everything that was reblogged? You can go to this site and just key in your Tumblr name. Not the answer you're looking for? Browse other questions tagged tumblr photos upload profile or ask your own question. How do I change my portrait photo on Tumblr? 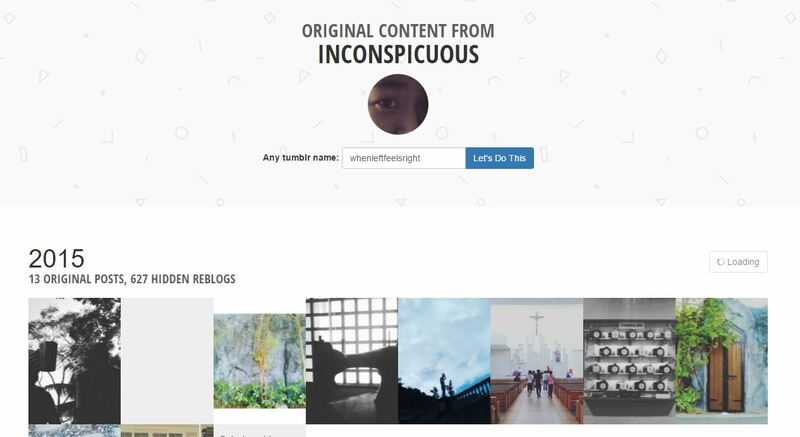 How can I link Photo Posts to the permalink page of a Tumblr blog? Check if I already reblogged a post? How do you see which user uploaded an Imgur album?